The BTI Client Service All-Star award is a powerful differentiator for you and your firm. Based solely on unprompted feedback from clients at large and Fortune 1000 organizations, this exclusive honor conveys your commitment to superior client service. Please join us in celebrating your distinction. We welcome requests for comments and quotes. Please reference The BTI Consulting Group, Wellesley, MA in all publicized communications. Yours to celebrate and tout, The BTI Client Service All-Star is a recognized symbol of client service excellence. Send a message to clients you are one of a rare breed dedicated to making their lives better and easier. If you have any questions or require assistance with promoting your BTI Client Service All-Star award, please contact Michael B. Rynowecer, President, at mrynowecer@bticonsulting.com or +1 617 439 0333. 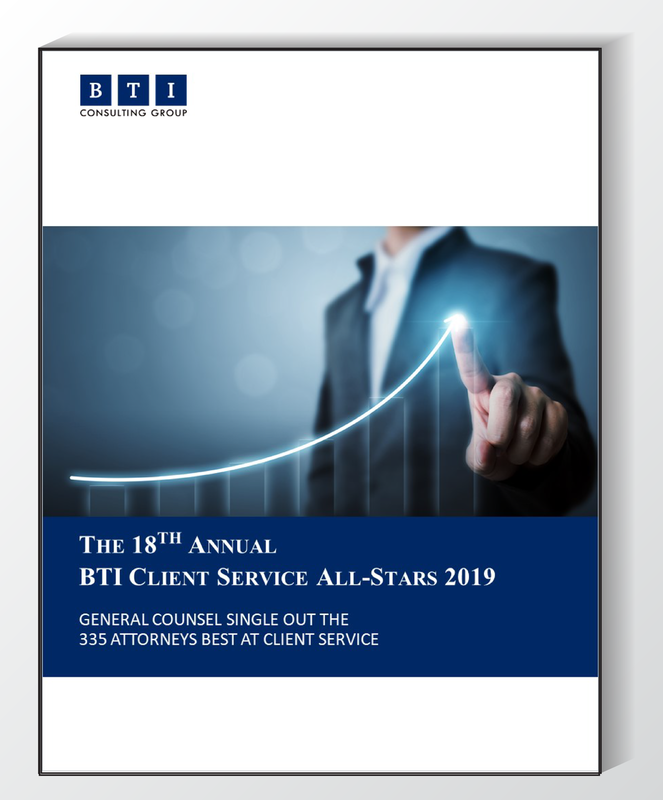 BTI grants permission to The BTI Client Service All Stars, as described in the BTI Client Service All-Stars 2019, to use the BTI Client Service All-Star logo.